As an organization, the HFC prioritizes the development of mutually-beneficial partnerships and relationships with other organizations, institutions and people who share community and nature centred visions for the future, focused on health, ecology and justice. The HFC is grateful for the cooperation and support from the Town of Hudson. The HFC regularly hosts events at the Hudson Community Centre, grows its Kitchen Garden in the town's History Garden, and is starting a community farm on municipal land. We appreciate when council members attend our events; that town employees (especially from Parks and Recreation and Culture and Tourism) regularly reach out to us to participate in community events; as well as make accommodations for our events. The Concordia Food Coalition is a non-profit organization concerned about the social, ecological, and economic implications of the food system at Concordia University. The CFC brings together students, faculty and staff to promote and facilitate a transition to a more sustainable food system at Concordia. Two branches of the HFC currently have working groups with the CFC: The Hudson Land Trust Project and The Hudson Community Farm Project. Coopérative de solidarité Transition NDG is dedicated to creating more resilient communities through pursuing less fossil fuel dependent lifestyles, disseminating related knowledge and information and creating and supporting opportunities to live and learn sustainable practices. The HFC and Transition NDG are building an urban-rural partnership and both have representation on each others' board of director. Compost Montreal is a social enterprise based in Montreal that focuses on the transformation of organic waste from a liability to a resource through composting, creating good jobs, supporting local food security organizations and closing the loop in agriculture, both rural and urban. Compost Montreal is providing support with expertise in organizational development and the sustainable management of organic waste, including education, collection, treatment, and redistribution of the finished compost and its use in organic agriculture. P3 permaculture is a social enterprise that promotes appropriate ecological and social solutions to the collective environmental challenges of today. 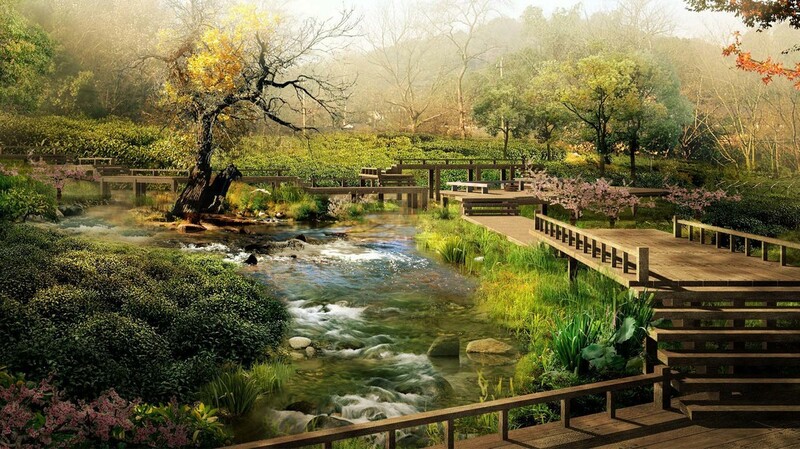 Permaculture is a design science geared towards conceiving and implementing conscious and permanent ecological solutions that are based on the observation of nature. The HFC and P3 Permaculture co-organize a number of educational events each year, from hands-on gardening workshops to speaking events on the topic of permaculture. Protec-Terre is a non-profit organization founded in 1999 in response to reports that revealed the accelerated degradation of Quebec's agricultural land and based on the need for consumers to join forces with producers to face this land use challenge together. Protect-Terre has provided support to the HFC by means of education and consultation. Healthy choices market and bistro. Que de Bonnes Choses has shared their space with the HFC for some workshops and have also provided support through the donation of raffle prizes and snacks for film nights. Le verger de Hudson practice Natural Farming, respecting nature and achieving a balanced ecosystem. Their products and services include you-pick apples, apple cider vinegar, apple juice, Saskatoon berry products, and event space at the barn. ​Le verger de Hudson hosted the very first HFC meeting in their barn and continue to welcome us to use their beautiful venue with open arms. They are advocates for the continued development of local agriculture and are a shining example of hard work and creativity. A Fair Trade Town is a town committed to the principles of fair trade and engages socially conscious citizens, community organizations, business owners, as well as the local SDC and Town Council. For a “town” to be designated “fair” a number of criteria must be met, including, a minimum number of Fairtrade certified products available locally. The community works together to raise awareness and understanding about ethical trade issues. In 2015, the HFC wrote a letter in support of this initiative - we hope to co-host events in the years to come. 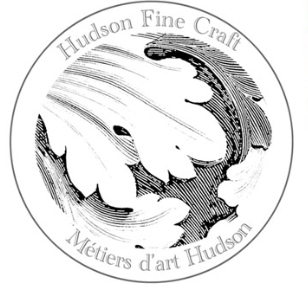 The Hudson Fine Craft group have been very supportive of the HFC by advertising our events, including the HFC in their events, and getting excited including artisanal foods as they become increasingly developed locally. Joanna Olson, a Hudson Fine Crafter, designed the latest version of our logo. The goals of the Hudson Garden Club are to share horticultural knowledge, promote enjoyment of gardening and its related activities, and encourage awareness of our environment. In the summer of 2015, the Hudson Garden Club and the HFC partnered on a special event held at le Verger de Hudson: A talk from Edith Smeesters followed by a traditional English tea in the orchard. It was a great success. The two groups have advertised each others events and we are co-hosting a permaculture talk in May 2017. The Greenwood Centre for Living History has reached out to the HFC to start up a dialogue about the potential for re-activating their agricultural land. HealingHudson consists of a group that both provides and promotes holistic services – including energy therapies, yoga, group meditations, courses, workshops and more. ​Healing Hudson believes in the importance of sustainable farming and enjoy bonding with the community. Talk With Your Mouth Full is a collaborative project promoting the people bringing good food to your table. Talk With Your Mouth Full have helped the HFC by being available for consulting and also in partnering on an event held in 2016 at Café Zéphyr.